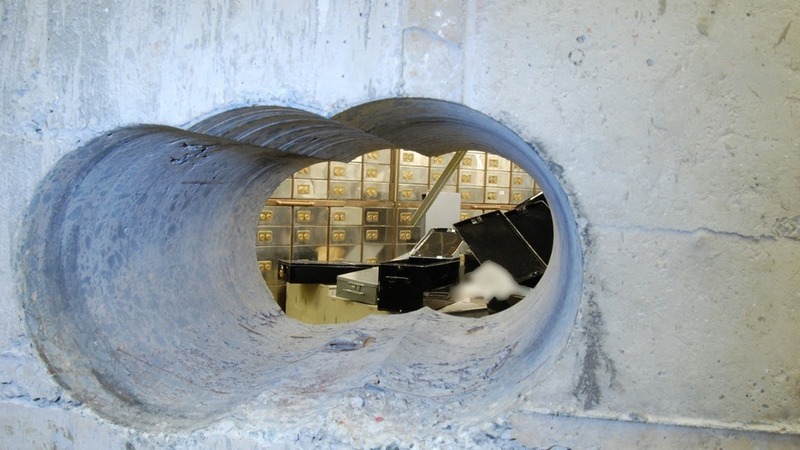 These amazing photos were released by the Flying Squad, a branch of London's Metropolitan Police Service, and show the scene that greeted police when they finally investigated the burglary at Hatton Garden Safety Deposit Limited over the Easter weekend. 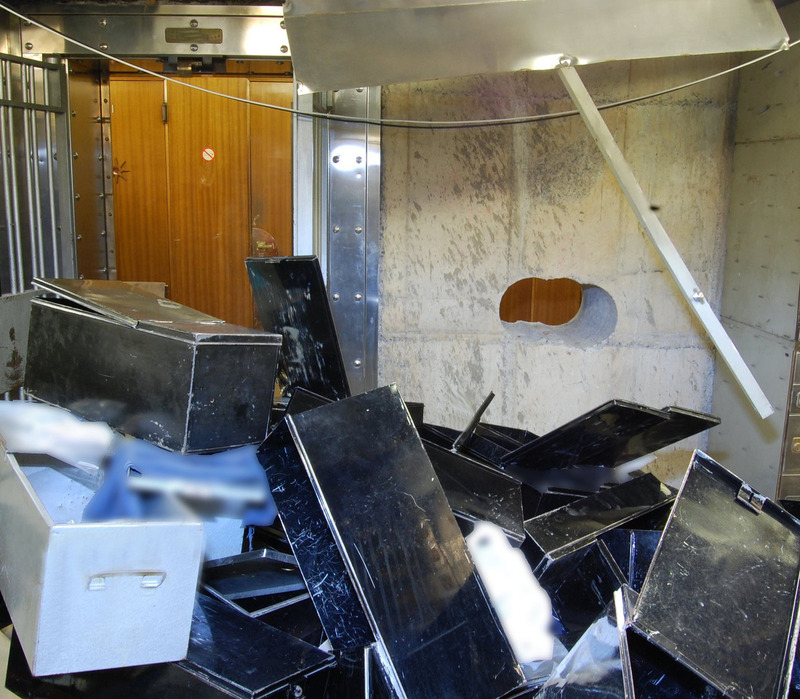 The burglars probably got in through the lift shaft to gain access to the basement, then drilled through the concrete wall to access the vault. 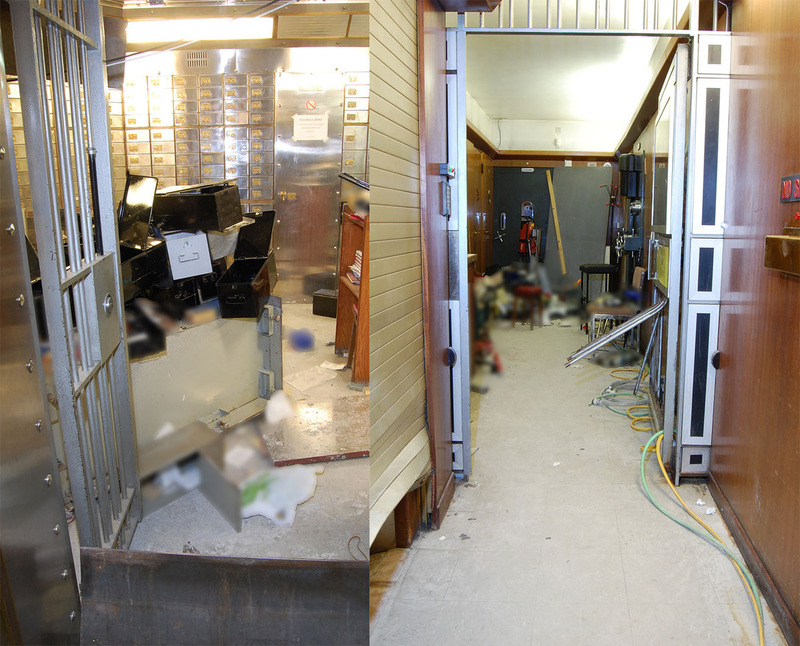 Seventy two safety deposit boxes were raided, and the thieves stole jewellery and gemstones worth millions of pounds.